Getting your eyebrows waxed is always a win-or-lose game. Either you end up with fabulous eyebrows or a completely waxed-out disaster. So, if you lost your brows at the salon or found you’ve over-plucked them yourself, read on to learn how to regrow thick and full eyebrows. Waxing accidents or over-plucking damages the hair growth in the eyebrows. You may also suffer from brow loss due to skin conditions like eczema, psoriasis or seborrheic dermatitis. 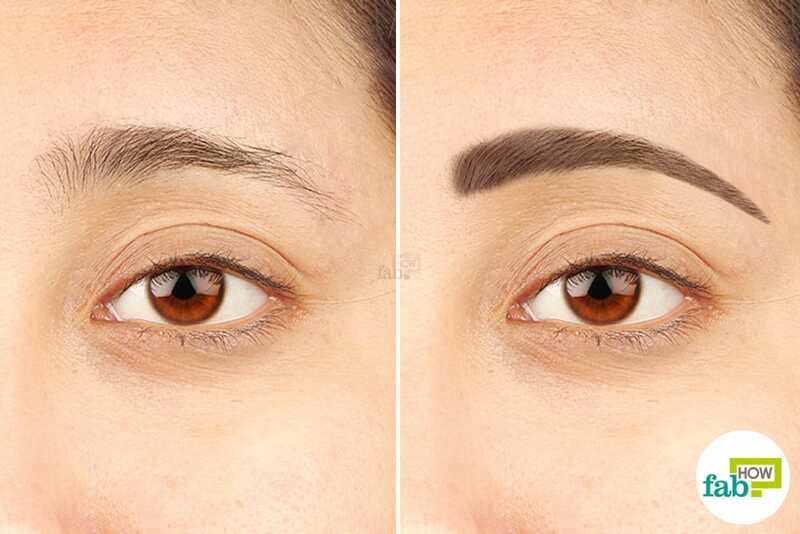 Aging, stress, poor-quality cosmetic products or underlying medical conditions can cause eyebrow loss as well. Even if you aren’t a victim of drastic eyebrow loss, you may just want to catch up with the latest trend of well-defined, dark and dense eyebrows. Pencil thin brows are passé. Moreover, thick eyebrows flatter every face shape. The beauty industry offers numerous eyelash and eyebrow serums, but you may wish to try a natural approach first. Sometimes eyebrow growth serums may cause a hormonal imbalance, especially in women. Natural remedies don’t cause such side effects. However, before you start any of the given remedies, do a patch test to make sure that the remedy suits your skin type. Any remedy should be followed regularly with patience for a few weeks at least to get good results. Here are five natural remedies to help you grow thicker and attractive eyebrows. Castor oil is the best natural remedy for healing any type of eyebrow damage and growing thick brows. It can also be used to thicken your eyelashes. The oil contains fatty acids in abundance, making it effective in triggering hair growth. Additionally, it penetrates deep into the skin, which also makes it more beneficial than other remedies. This remedy is inexpensive, easy to apply and produces great results. You can use black castor oil instead of the common, clear castor oil for even better results. Note: Castor oil is potent and may cause irritation in some individuals, so you must always do a patch test before using this remedy. 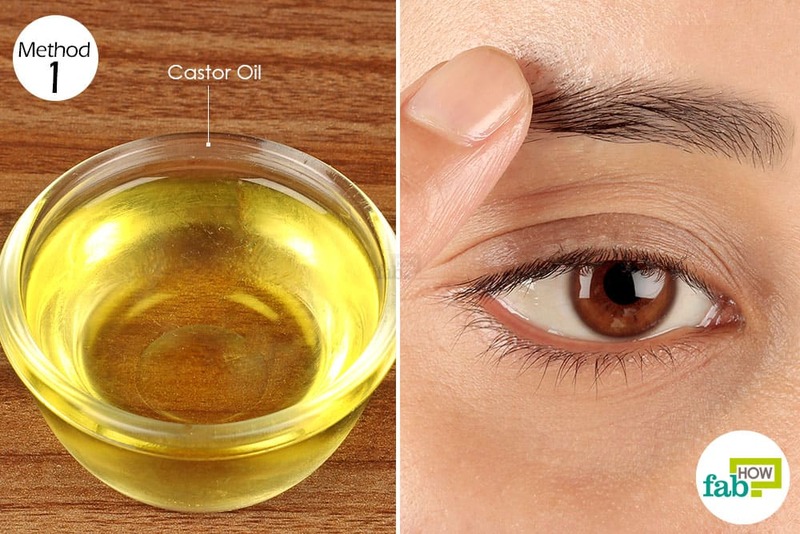 Put a little castor oil on your fingertips and massage it into your eyebrows. Let it sit on the brows for a few hours at a time. You can also leave it overnight. 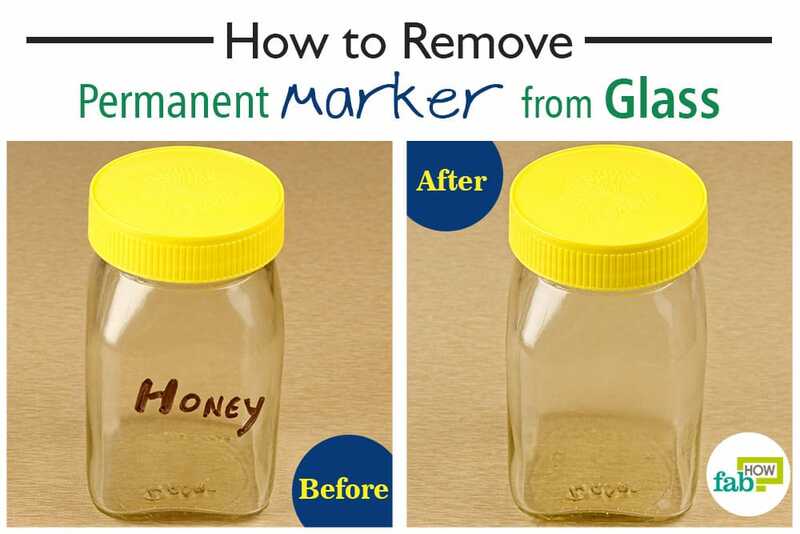 Do not wash off the oil, but you may wipe off the excess with paper towel if needed. Repeat once or twice a day. With regular application, castor oil should give good results within 4 to 5 weeks. Coconut oil can help curb rapid eyebrow loss. It contains vitamin E, iron and other nutrients essential for hair growth in the eyebrows. If your eyebrow loss stems from any infection or skin condition, the lauric acid present in coconut oil acts as an antimicrobial agent and prevents further damage. Put some coconut oil on your fingertips and massage it into your eyebrows. Pay more attention to the areas that may be over-plucked or waxed. Wait 30 minutes, then you can wipe off any excess oil with a paper towel if needed. Do this once or twice a day regularly to grow thicker and attractive eyebrows in about 6 weeks. Olive oil can also promote dense eyebrow growth, as it is rich in vitamins A and E.
Vitamin A stimulates the production of sebum, thus boosting the body’s natural mechanism of hair growth. Vitamin E provides nourishment to the hair strands of your brows. 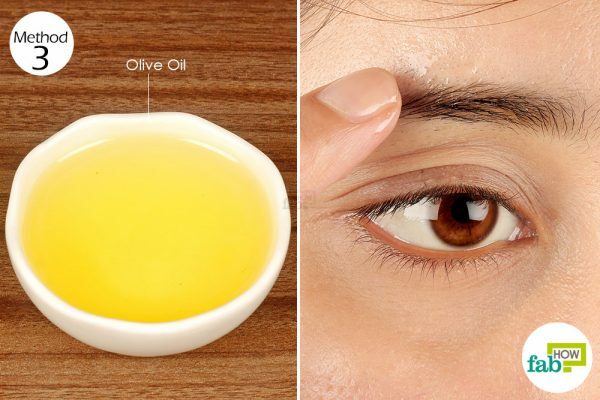 Apply some olive oil on your eyebrows with your fingers. Olive oil is very viscous and a little will go a long way. 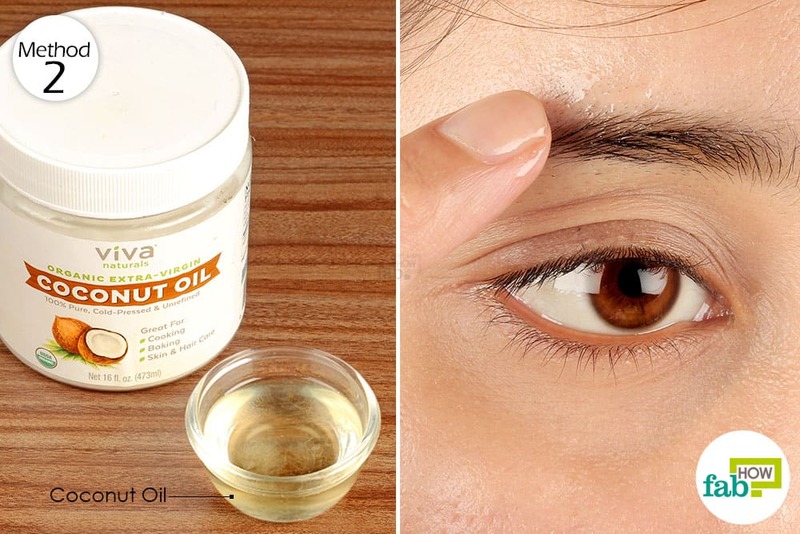 Gently massage the oil into your brows. Leave it on overnight and clean your face in the morning as usual. Apply olive oil daily for at least 6 weeks to notice significant brow growth. Vaseline is the go to solution for a number of beauty hacks. Using it is a simple and convenient way to grow thicker and attractive eyebrows as well. It will seal in the moisture and keep the area hydrated, which can help your eyebrows grow thick and long. Note: Do not use Vaseline if you have oily or acne-prone skin. 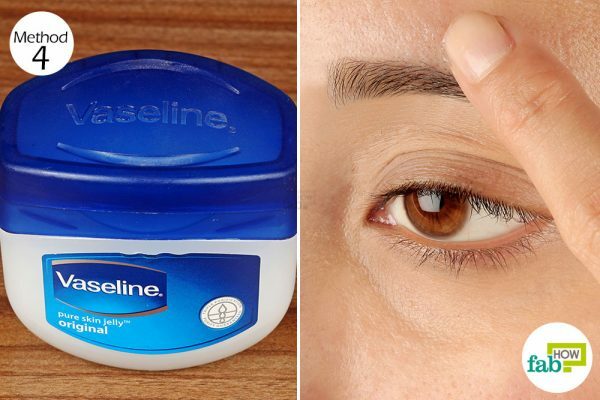 Apply Vaseline on your brows with your fingertips or a cotton swab. Don’t apply too much, as an excess of it may stain your pillowcases. Leave it on overnight and wash your face in the morning as usual. Repeat daily for 6 to 8 weeks to notice good growth in your eyebrows. Egg yolks, which are a combination of fats and proteins, can be used to grow thicker eyebrows and for other beauty applications. They moisturize as well as nourish the hair follicles and strands, promoting quicker growth. Yolks are also a rich source of biotin, popularly known as the hair-growth vitamin. Note: Use egg yolks sparingly if you have acne-prone skin. The yolks may clog your pores. You may replace the yolks with whites if you have large pores. 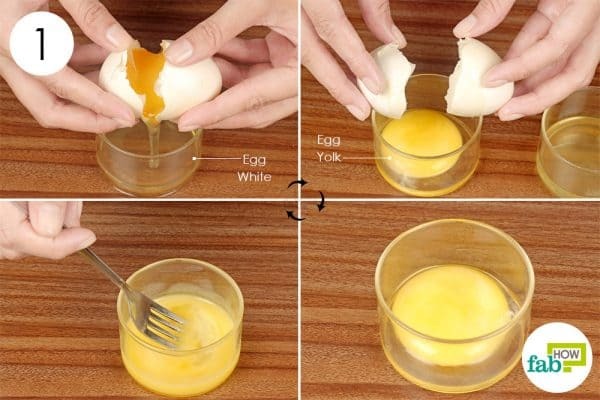 Break an egg and separate the yolk from the whites. Beat the yolk to a smooth consistency with a fork. Coat your eyebrows with the beaten yolk using a clean cotton swab. Let it sit for 20 minutes before rinsing it off with warm water. Use the remedy twice a week for 6 to 8 weeks to grow thicker and attractive eyebrows. Avoid wearing eye makeup during the treatment period. Avoid applying thick lotions and creams, as they can clog your hair follicles and disrupt hair growth. Massage your eyebrows with a brow comb to stimulate blood circulation in the area, thus boosting hair growth.